Despite the budget troubles, officials arranged to ensure a security force of 85,000, of which 23,000 are actually soldiers. And yet, the anecdotes of crime are painfully ironic. Sailing gold medalist, Fernando Echavarri and Liesl Tesch, an Austrailian paralympic sailor, were both mugged at gunpoint. The minister of education of Portugal was robbed on his way back to his hotel while strolling near the rowing venue. A New Zealand sports official was nearly shot by a stray bullet as he was standing in the equestrian media area. The Olympics own security chief was attacked by four men with knives. The security chief, fortunately, had security, who had a gun, and was able to shoot one and chase the others away. And while crime in Rio has gotten heightened attention due to the Olympics, Carioca have lived in an environment of insecurity and unease their entire lives, particularly those who live in the slums known as favela. One person who has emerged from the drug and crime-infested favela called Cidade de Deus, made famous in the film, City of God, has put a dent in the perception that all is doom and gloom in the deeper recesses of the mega-city Rio de Janeiro. 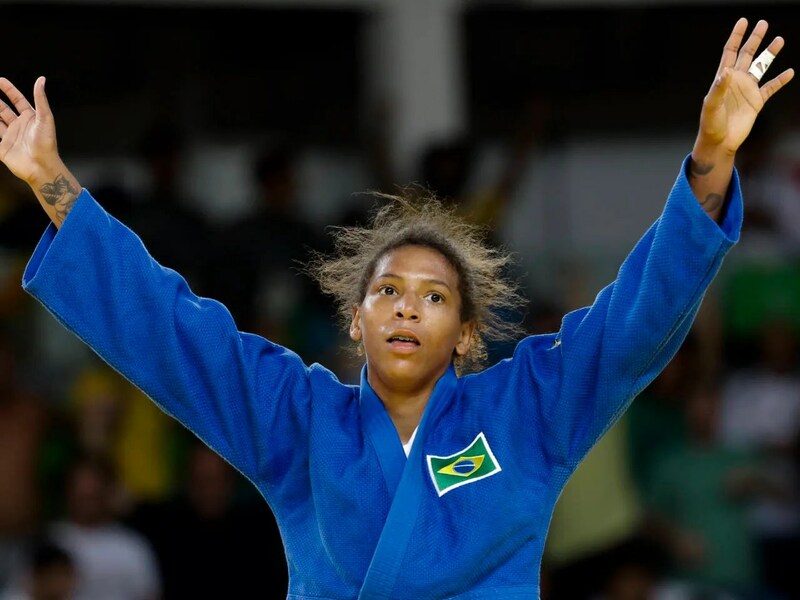 On Monday, August 8, Rafaela Silva won gold in the women’s 57kg judo finals. Defeating Mongolia’s Dorjsurenglin Sumiya convincingly, Silva emerged as Brazil’s newest hero. Silva grew up only 10 kilometers away from the artificially up-scale Olympic center, in the City of God favela, where as a dark-skinned woman, she faced racial abuse, got expelled from school, and grew up poor and hungry. In an attempt to help Silva avoid bullies and drug gangs, while steering her down a better path, she was enrolled in free judo classes. For whatever reason, judo was the way out of the favela. At the 2012 London Games, Silva was expected to do well, but was disqualified for an illegal move during a preliminary match, and never made it to the medal round. That made it easy for the racists to flame her with insults, calling her a monkey who needed to be in a cage. 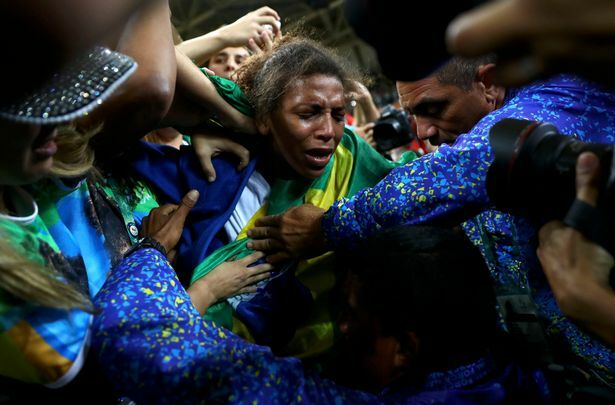 When Silva won the gold medal, her reaction was complex: of joy, of vindication, of shame. The monkey that they said had to be locked up in a cage in London is today an Olympic champion at home. Today, I’m not an embarrassment for my family. She is not an embarrassment. She is a hero to all Brazilians, a hero to the downtrodden and the hard working. A hero from the City of God. Posted in Gender, Judo, Rio Olympics and tagged 2012 London Olympics, Cidade de Deus, City og God, favela, Judo, Juliana Barbassa, Rafaela Silva, rio olympics, Sancing with the Devil in the City of God. Bookmark the permalink.